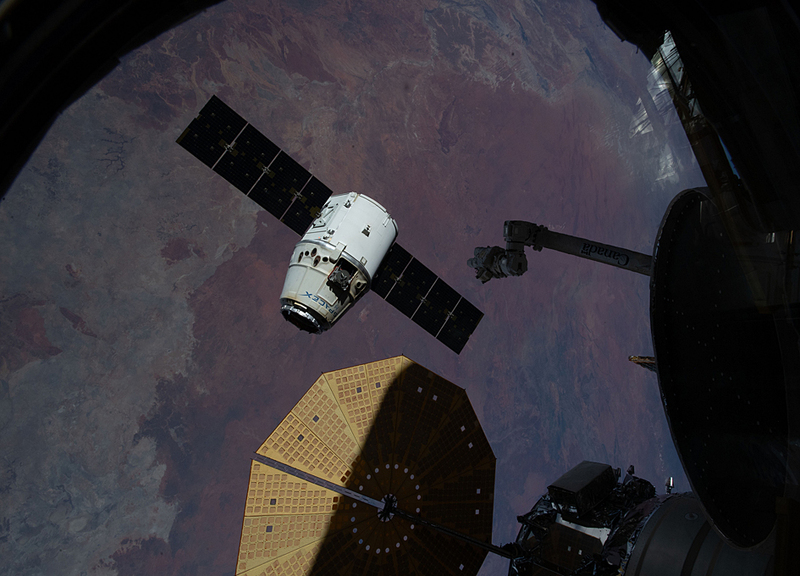 The SpaceX Dragon cargo craft begins its departure from the International Space Station moments after being released from the grips of the Canadarm2 robotic arm. Featured prominently in the lower foreground is one of two cymbal-shaped UltraFlex solar arrays attached to the Northrop Grumman Cygnus resupply ship. The orbital complex was orbiting 255 miles above Australia's Northern Territory at the time this photograph was taken.